Lots of size and a great attitude for a juvenile or amateur! 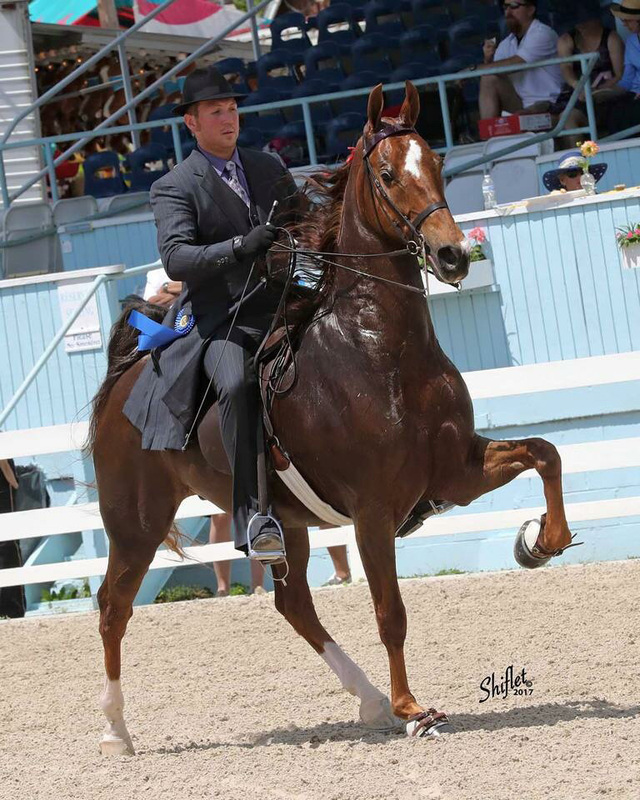 This big 5-gaited gelding is ready for his amateur! Proven safe and forgiving for students, “JB” is a perfect show pleasure candidate. He will flat walk, stand quietly and is light in the bridle. Also broke to drive, he is simple to hook and walks off quietly. With the size to carry a growing rider through their youth years, he would be a great addition to any program. See and try him at the Syracuse International!